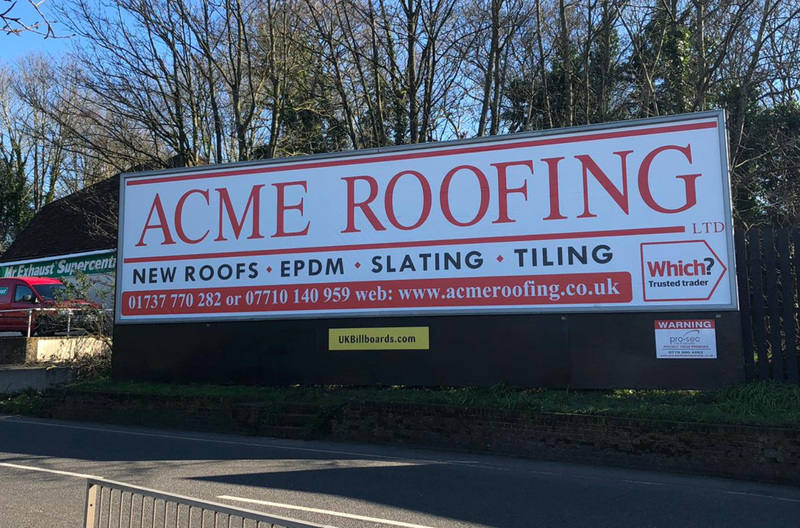 ACME Roofing – A roofing company based in Redhill, Surrey. Roofing Company based in Redhill, Surrey specialising in domestic and commerical roofing. A roofing company based in Redhill, Surrey specialising in domestic and commercial roofing. 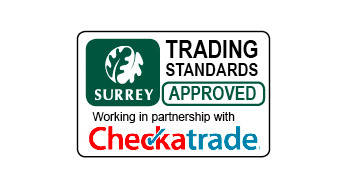 We are approved with trading standards in Surrey, Sussex and Hampshire. We have NVQ 2 trained roofers in slating and tiling, all employees CRB checked. We cover a large range of roofing projects, from replacing a single tile to replacing a complete roof. We provide roofing services to local builders, construction companies. local authorities and the general public. 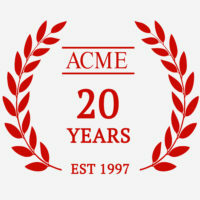 We offer our own 10-year guarantee on all our workmanship and materials. In addition to this, we also provide a 10-year insurance backed guarantee on all new strip and retile roofs, flat roofs and fascia and guttering. You can find a complete list of the services provided by visiting the Services page. As well as this, you can see the photography of work we have previously undertaken in our Portfolio. We hope we can help you and look forward to hearing from you in the near future. Call us on 01737 770 282 / 07710 140 959 or email us at info@acmeroofing.co.uk. advertisement on London Road, Reigate. 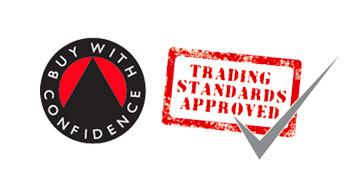 We are approved members of the Buy With Confidence scheme which is run by Hampshire Trading Standards. 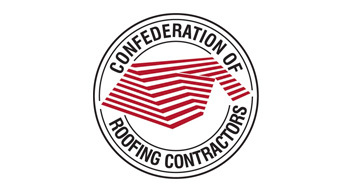 We are a member of the Confederation of Roofing Contractors. Click here to view our page. We are an approved Trusted Trader with Which. 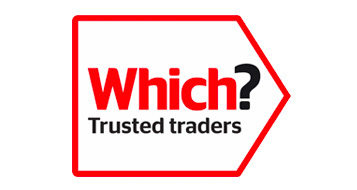 Click here to view our Trusted Trader page. We are proud members of Check a Trade. Click here to view our page to view our page and testimonials. 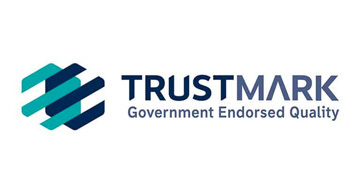 We are a Government Endorsed trader with Trust Mark. 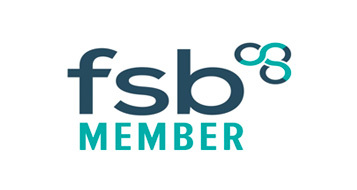 Click here to view our Trust Mark page. 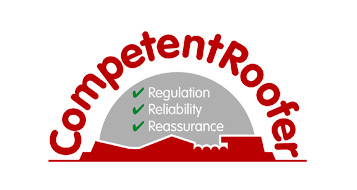 We are a Competent Roofer authorised contractor. 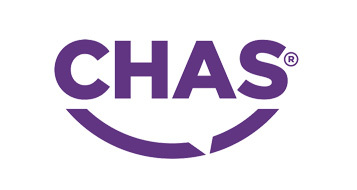 We are an accredited CHAS contractor. We’re based in Redhill, Surrey, but we’re happy to travel. We’ve worked all over from Dorset to Brittany (France). We work all over the South East from Surrey, East Sussex, West Sussex, Hampshire, Kent and London.